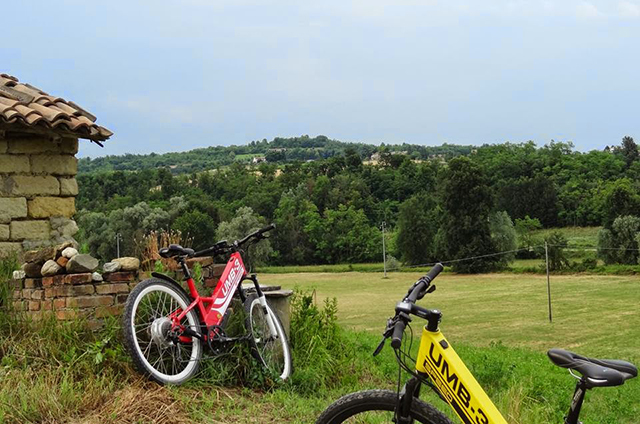 Meeting the landscape of Monferrato’s hills, the various morphologies of the land, the suggestive views and sceneries, the diversified nature, the traditional villages: in only two hours this is possible, thanks to Monferrato Experience, that offers excursions on electric bicycles. Curious to try we reach Marco and Salvatore at suggestive Bar Chiuso, placed on the top of the hill of Moleto, where they were waiting for us with the bikes and the full gears for our ride. We wear the helmets and we are shortly instructed about the driving controls of the bikes. 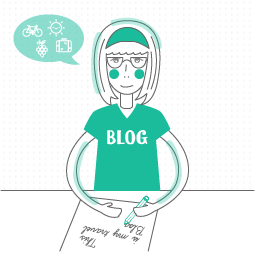 When we first try to pedal we are impressed by the difference with a normal bicycle. Trying bicycles with assisted pedalling for the first time is quite exhilarating: with just one pedalling you actually ride the space of six, in fact, any time you push the foot down you feel moved by a strange force. We start our bicycle ride leaving the village and going downhill between fields and vineyards, laughing like children at this new feeling. The funniest part is always when you start moving: you feel as the bike would ride itself: hold tight the handles or you will be left behind. Then we started to climb up the next hill, a little worried about the steep part, just to discover that it wasn’t hard at all thanks to the bikes. 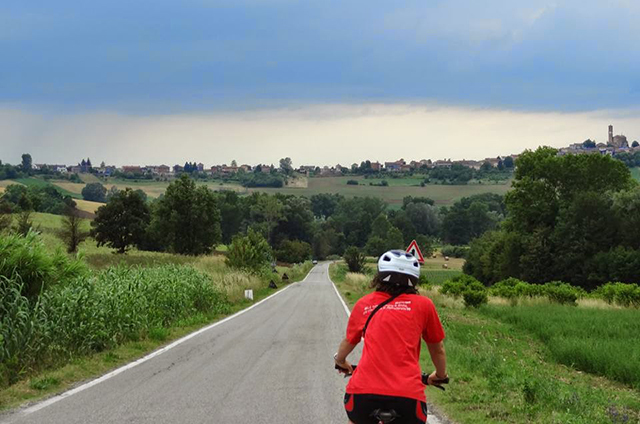 In this way, we could go up and down the hills, crossing villages and fields, pleased by the diversity of the Monferrato environment and discovering hidden corners and an incredible succession of views and landscapes. These bicycles are really for anybody, no matter your physical condition. 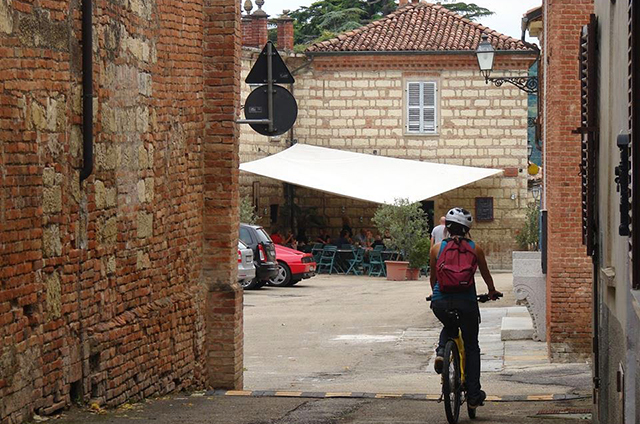 Everybody can have the possibility to enjoy all the tiny details of our beautiful territory and the feeling of moving in the open air that you lose going by car. At the same time, you ride fast enough to appreciate the diversity of landscapes. 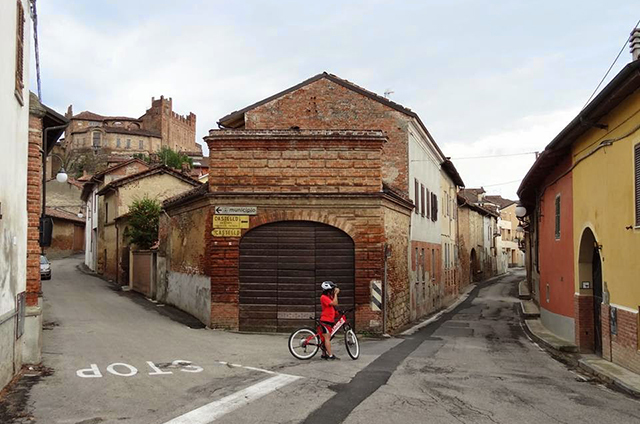 We visit the small village of Olivola, with children and old people looking a bit surprised at us. Up and down again, we reach Montemagno, with its old beautiful castle and narrow streets which open on the magnificent view. Not far from the village we find the Tenuta Montemagno, a recently renewed old farm, which now hosts a winery and a big part dedicated to tourists and guests. This is the place from where the bicycle tours will start. 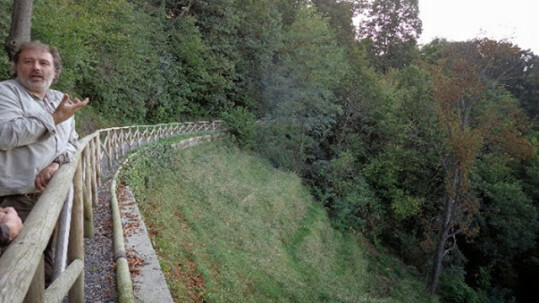 From here you can choose to follow some path or gravel road immersing yourself even deeper in Monferrato’s nature. We finally take the way back trying the different speeds and gears of the bike having lots of fun passing each other at the maximum speed and competing with cars, especially uphill. We reach Moleto when is almost dark, we feel really happy about the trip we did. We rode quite a great distance but we weren’t much tired, the bicycle did most of the work for us. 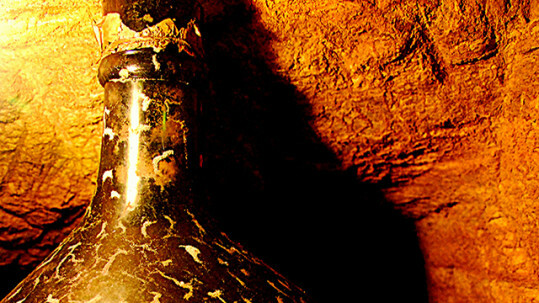 We are grateful to Monferrato Experience and satisfied about this adventure. We suggest it as a nice idea to spend a wonderful day in a different way, visiting places, meeting local people, taking great pictures. You can stop on the way for a refreshing picnic or taste traditional food in different restaurants. Marco and Salvatore, very honest and friendly guys, both from the Canavese area, are the creators of this mark. Both involved in ordinary office jobs, they firmly believe in this project with the wish that it will grow and engage them on a full-time. 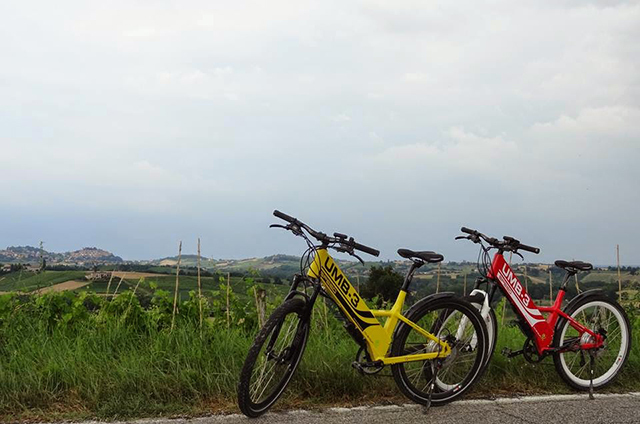 On the first year of activity, they involved 1200 guests and customers, most of them from abroad Piemonte, who had the opportunity to discover Monferrato by electric bike. 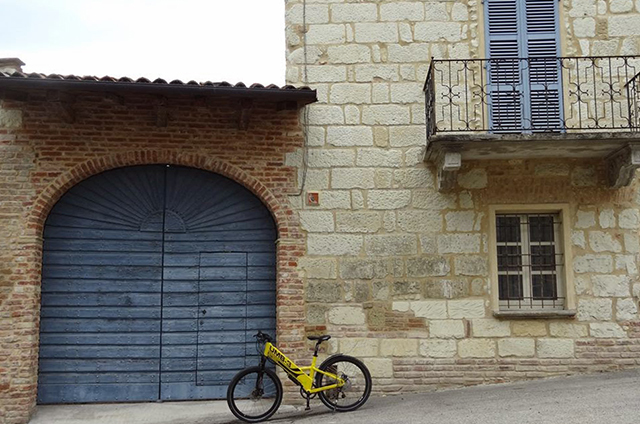 Besides the electric bikes, they offer excursions with quads, paintball matches in the woods, Nordic walking and orienteering trekking, addressed to single people, groups or companies staff. 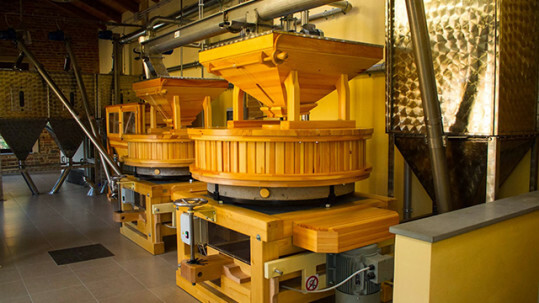 All this is carried out with a strict link with the territory connecting the wine and food activities with the hospitality also offering free support to everyone, in order to unify the area and take full advantage of the touristic potential.